Hello, and welcome to my practice. My name is Dr. Jennifer Cova. It is my pleasure to partner with you on your healthcare journey. My hope is to become more than just a doctor’s office for you. It is my intention to build a long-lasting relationship with my patients. During your visit, we will discuss many aspects of your medical, family, and social history. As the founder of The Complete Women’s Practice, I am here to support you through each stage of life. Building a long-lasting relationship is my intention. 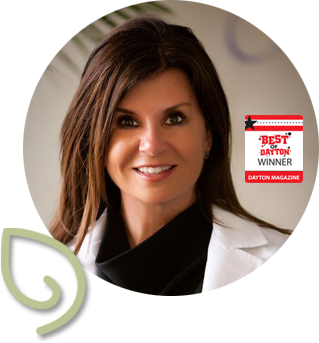 I’m a board-certified OB/GYN physician with over 18 years of experience in obstetrics, gynecology, and women and men’s wellness. I constantly pursue continuing education to stay at the forefront of medicine and technology. I am committed to offering you the widest range of treatment options. My staff and I offer unsurpassed, personalized treatment. We use state-of-the-art surgical and minimally invasive procedures for you at every stage of life. I am different from other doctors. To me, you are a person first. You are not a number. I see you as an individual with unique issues searching for answers. I am a doctor, but I am also a wife, mother, daughter, and friend. Together, we can find solutions to help you enjoy a balanced, healthy, active lifestyle. With much gratification, I’ll be a part of some of the most important moments life offers you. Thank you for this opportunity, I look forward to getting to know you. The Complete Women’s Practice is the incorporation of obstetric and gynecological care with medical grade cosmetic products and aesthetic services to create the comprehensive center for your complete well being.